There is a lot of happenings on and around the company Eloflex. Below you can find out about our latest news. Feel free to subscribe to our newsletter below, avoiding the risk of missing any news in the future. It is with great pleasure that we can announce that Eloflex has now signed an exclusive agreement with one of France's largest distributors of aids. We are now approaching 150 stores around France, and we reach the goal of offering total national coverage. Since its inception in February 2018, sales in Denmark have developed far above expectations. 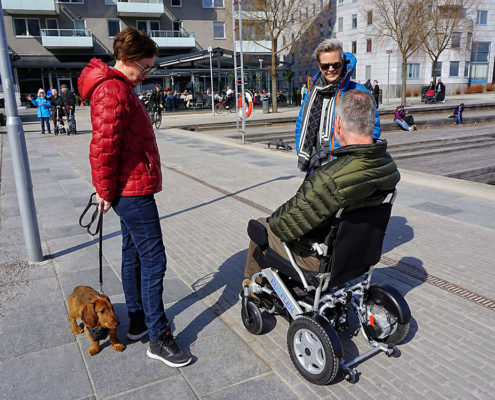 Demand for Eloflex electric wheelchairs is very high in the Danish market and sales development has outperformed what we have seen in Norway and Sweden earlier. 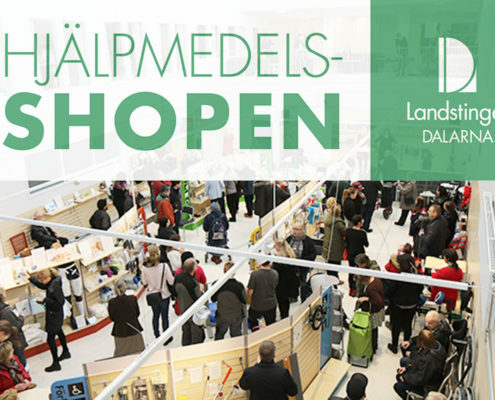 Eloflex had a large booth at Scandinavia's largest auxiliary fair, Health & Rehab Scandinavia in Bella Center Copenhagen, 15-17 May 2018. The success was immediate. 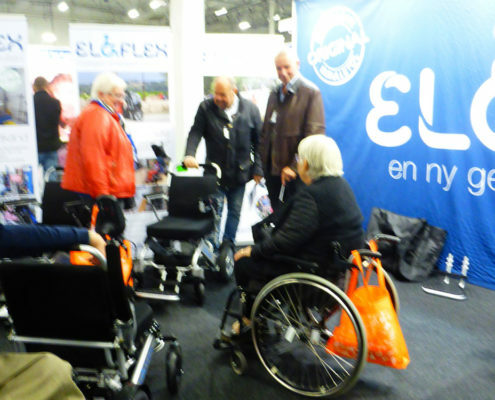 The interest in Eloflex folding electric wheelchairs was huge and the visitors stood in line to get a test drive. 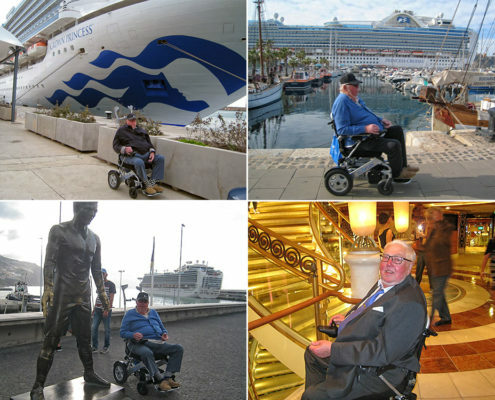 With a folding electric wheelchair from Eloflex you get the freedom back. You manage to a greater extent on your own and life becomes a little easier. With independence and independence, there is also an increased sense of joy. We received a holiday greeting from Ingemar in Kungälv this week. He was just returned from an amazing cruise across the Atlantic along with his Eloflex. First flight to Florida, then an exciting boat trip back with Crown Princess. 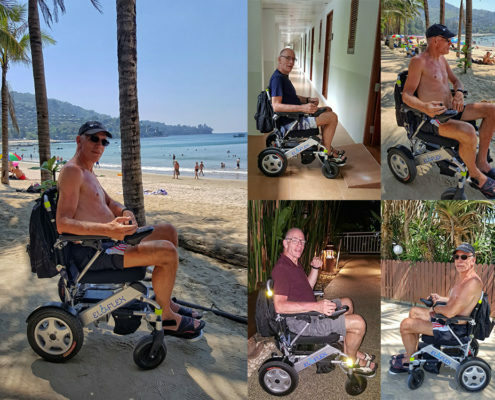 Starting April 2018, we will move to a new look joystick on all folding electric wheelchairs from Eloflex. 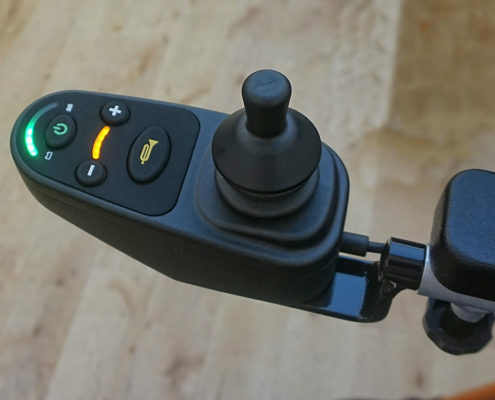 The new joystick (joystick / control lever) has the same function as our previous version. The difference is the location of the buttons and new indicators. 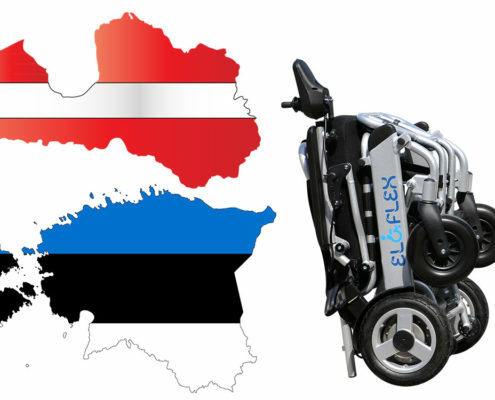 It is with great pleasure that we can announce that Eloflex folding electric wheelchairs are now also available in Latvia and Estonia. 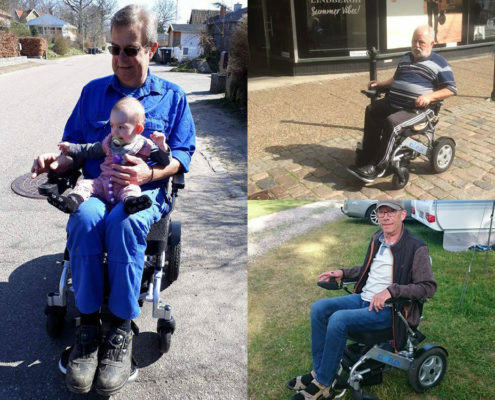 Through our new local distributor, our electric wheelchairs are launched in our eastern countries from 1 May 2018. We are pleased to announce that we now have a new distributor in Dalarna. It is the Aid Shop, which will be Eloflex's representative in the region as of March 20th. We received a holiday greeting from Thailand this week. It was from Tommy who left Eskilstuna and traveled to Phuket with his Eloflex. Judging by the pictures, there seems to be no need for either Tommy or the electric wheelchair. 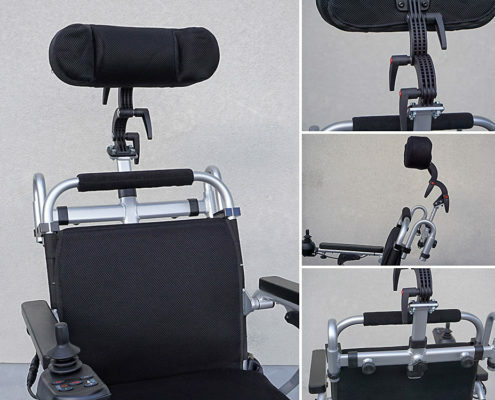 Now it has come, our proprietary headrest for Eloflex folding electric wheelchairs. The headrest is made of aluminum and therefore has a significantly lower weight than the previous model. We received a holiday greeting from Cape Town this week. 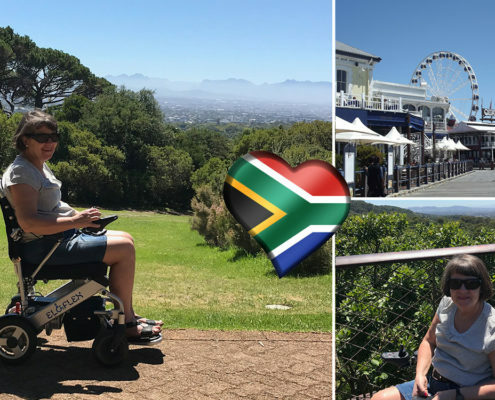 It was from Ewa-Marie and Christer who traveled to South Africa with his Eloflex. 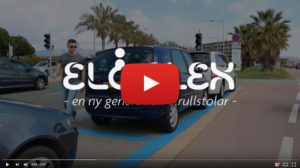 They are happy to see you easily around the city using an Eloflex. 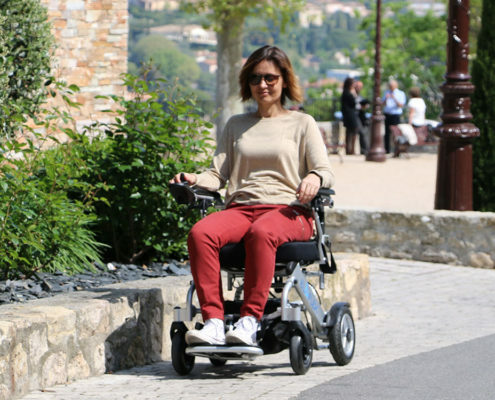 Eloflex is an electric wheelchair with unique features such as lightweight, smart, compact and collapsible. 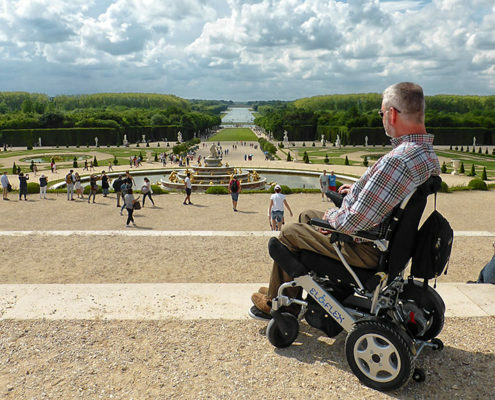 Watch our movies so you understand what distinguishes Eloflex from traditional electric wheelchairs.